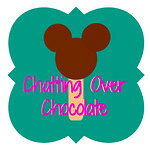 Chatting Over Chocolate: Five Loves on Good Friday! 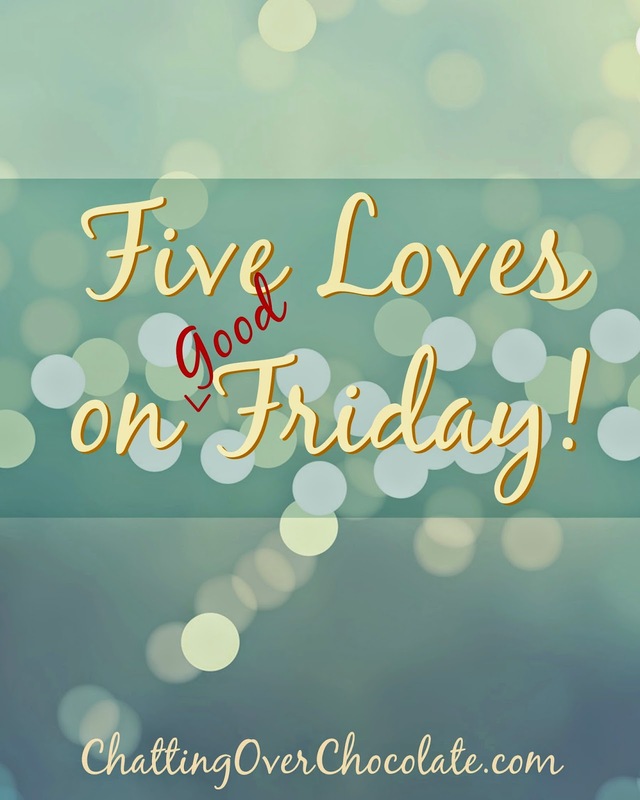 Five Loves on Good Friday! *If you're reading this post via an email subscription, please view the video here: Are You a Good Person? There is nothing that we could do to earn our salvation. It is a gift of God, not a result of works, so that no one may boast. All our "righteous deeds" are like filthy rags before a holy God. Through Him alone can we can have redemption! Christ willingly shed His spotless blood as the only acceptable payment for the FULL debt of our sins. When we repent and place our trust in Christ, we are forgiven and offered eternal life! That is the GOOD news of Good Friday! 2. f r e e t i m e w i t h m y g i r l s ! 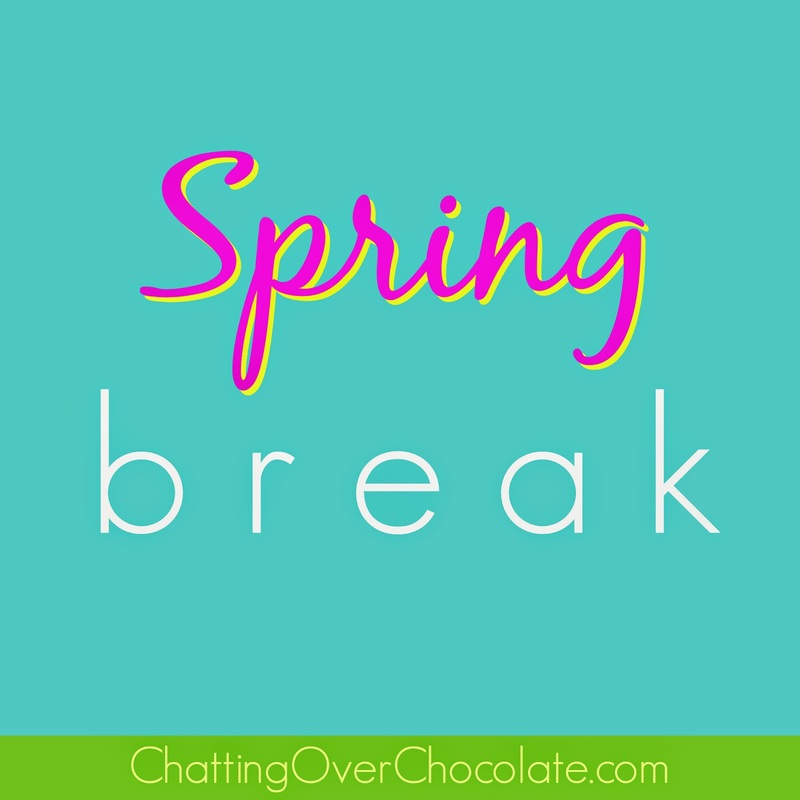 We took this week off from homeschooling to enjoy a spring break! The extra free time with my two favorite girls in the world has been fantastic! We've had some lazy laid back mornings lounging in our pjs watching Disney shows, and spent afternoons soaking up the sunshine during walk and talks to the park. Every lit'l bit of it has been wonderful! You all know I'm obsessed with Cinderella so I was thrilled to see the magnet she picked up for me at a special Disneyland Annual Passholder event! I'll be printing off a movie theater snapshot I took of my girlies to put inside the frame portion. The card shown in the middle is a Disneyland recipe for Pineapple Upside-Down Minis. I intended to share a close up, but noticed a copyright mark on the bottom. In light of that, I should probably move right along to the next goody. ;) ... Check out that cute currency! She included a Disney Dollar for each of us. I don't think we'll be able to part with them at any Disney shop though. They're way too sweet to spend! Random side note: I still have a Disney Dollar I got before my first visit to Walt Disney World back in 1989! Ahh, how happy lit'l Disney mementos make my pixie dust covered heart!! :) THANKS AGAIN, CHRISSY!!! I appreciate your thoughtfulness so very much!! 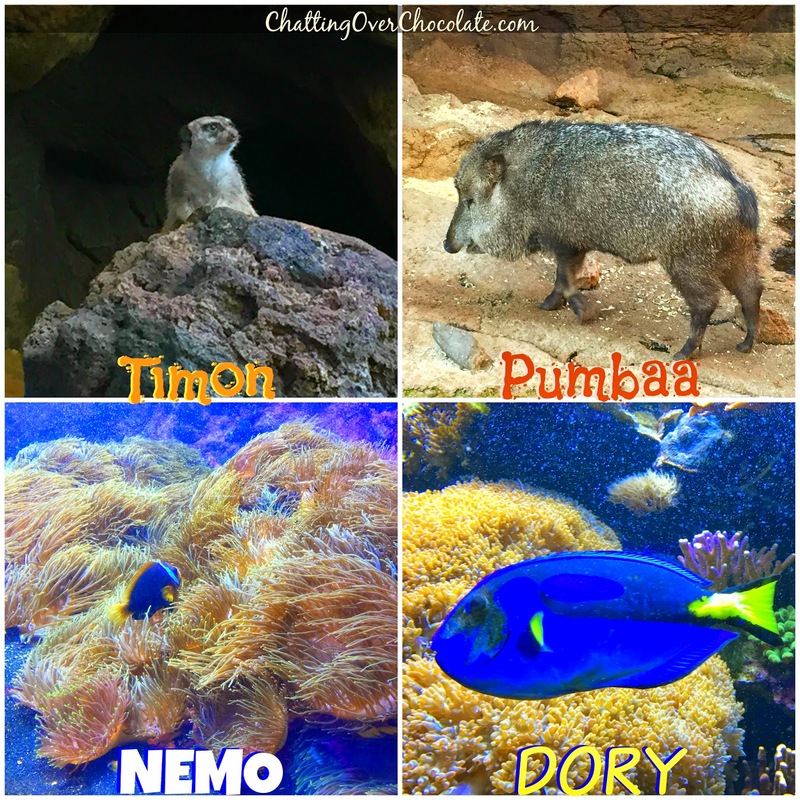 For more Disney goodness, check out Chrissy's blog post, Winter Fun! It includes many of her adventures at Disneyland, and details from her recent trip to the famed Hollywood theater, El Capitan to see Cinderella! 4. W e f o u n d N e m o ! Our home was filled with jokes and laughter on April 1st! We so appreciate the good clean fun of a silly prank. Here are a few of my favorites this year! 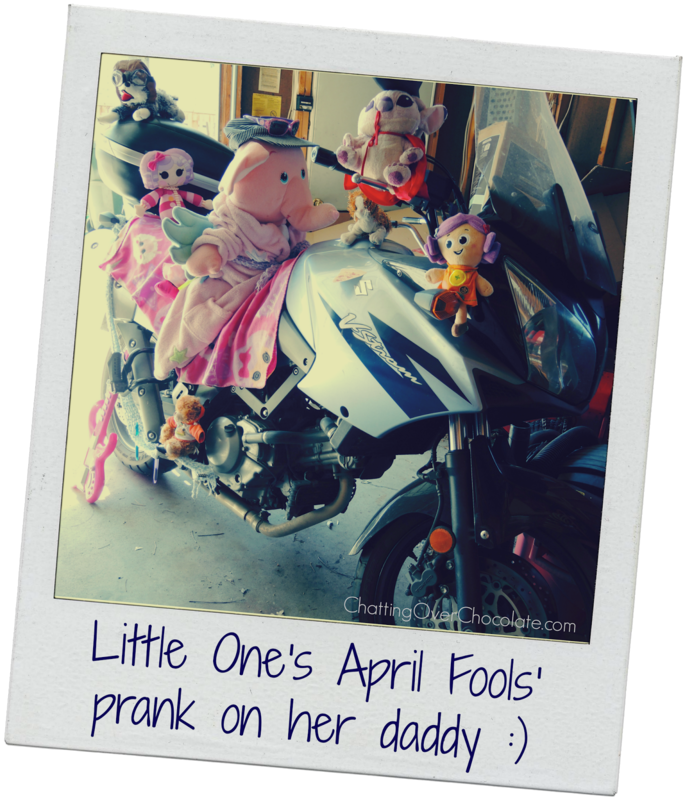 Little One spent much of her day plotting elaborate pranks to pull on her daddy when he arrived home from work that day! ... She also sat the iPad in the dining room and took my iPhone out to our backyard, turning FaceTime on both. When he stepped inside the house she hollered, "I'm in here, Dad!" As he entered the dining room he found a sign that read, "April Fools!" hanging from the doorway. She wasn't in that dining room, but where was she? Just then the doorbell rang. She was on the front porch dressed up like a bear, with a bag in hand she exclaimed, "Trick-or-Treat!" with a wide grin! Quickly adding, "April Fools, Dad!" She pulled a paper mustache and unibrow from her bag and planted them on his face, each secured with a lit'l strip of scotch tape she'd prepared ahead of time. She asked him to sit on the couch after all that, and handed him a piece of paper which read "Look Up!" Hanging from the ceiling above him was one last sign with those two words, "APRIL FOOLS!" It was like an obstacle course of silliness, and Jason beamed in delight over all that she had so carefully planned for his (and our) amusement! Such a fun memory was created on that, the silliest of holidays! Then there were other things that I thought should be an April Fools' Day joke, but they were actually REAL, like Vanilla Ice Goes Amish! What?! Turns out that this is an actual series! 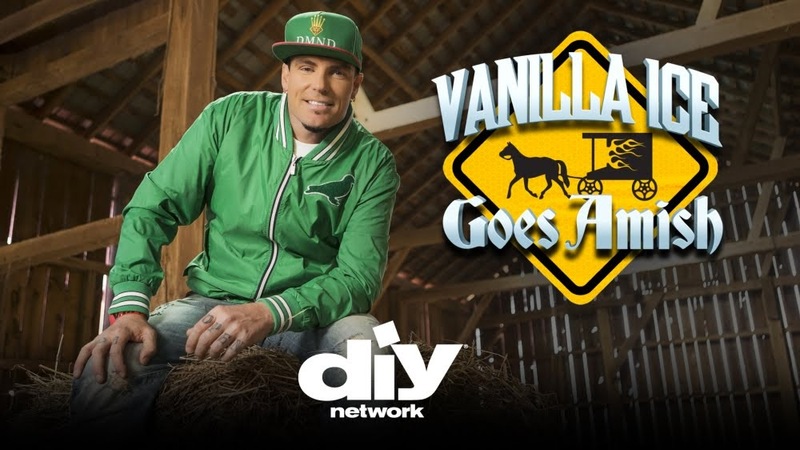 Vanilla Ice moves to Amish country to learn about the lost art of hand craftsmanship. Alrighty then. 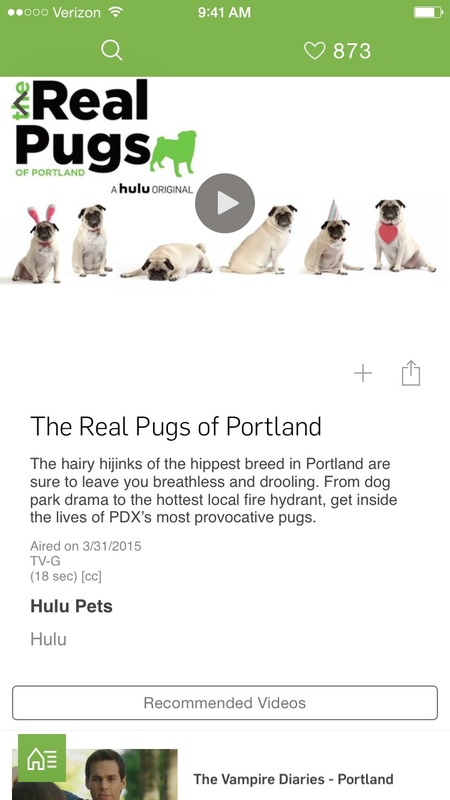 If you'd like to check it out for yourself, you can find it on the DIY Network and Netflix. Thanks so much for visiting today, lovelies! Have a beautiful Easter, and remember the true reason for the celebration, He is risen! To help you grasp what's truly important about Easter, join John MacArthur as he takes you back 2,000 years to Jesus' final hours with His disciples, just before He was arrested, tried, and sentenced to death on a cross. There history's greatest drama unfolded. 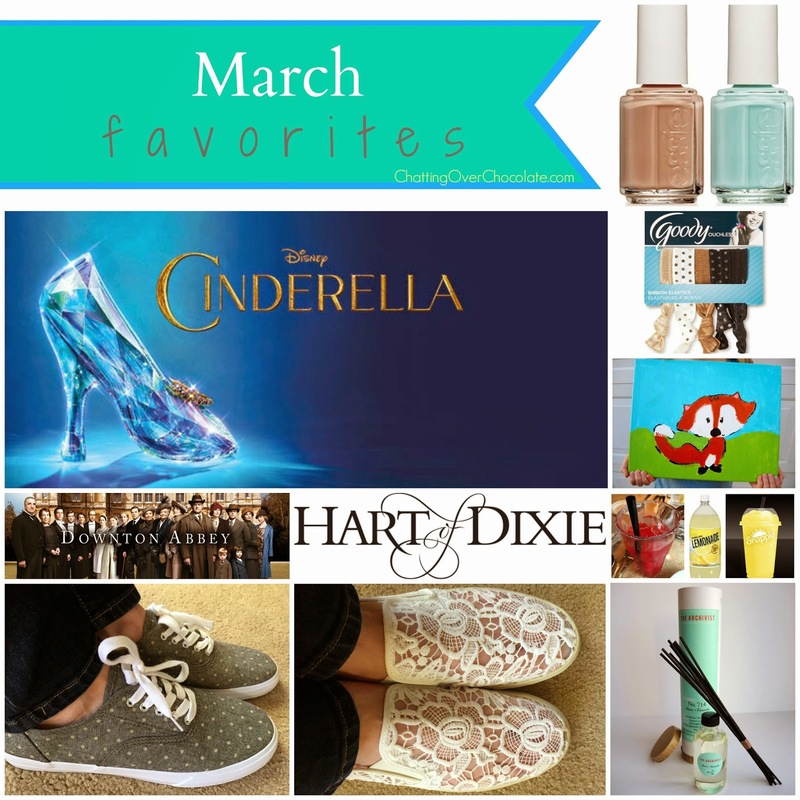 Check it out here: March Favorites! I don't think we've ever done anything for April 1st ha. I guess we are too boring. Although I have a silly dinner bookmarked for when Aria is older. You list out all the things of the meal but make them odd or funny. Like, rabbit leaves for lettuce. Dingglehoppers for forks. etc. Then you print off cards to fill out your courses and everybody puts in what they think each course is. I should find the link ha I'm doing a terrible job of explaining - http://dixiedelights.blogspot.com/2013/04/april-fools-silly-supper-sideshow-free.html. I adored it so much! Good Friday is just amazing. 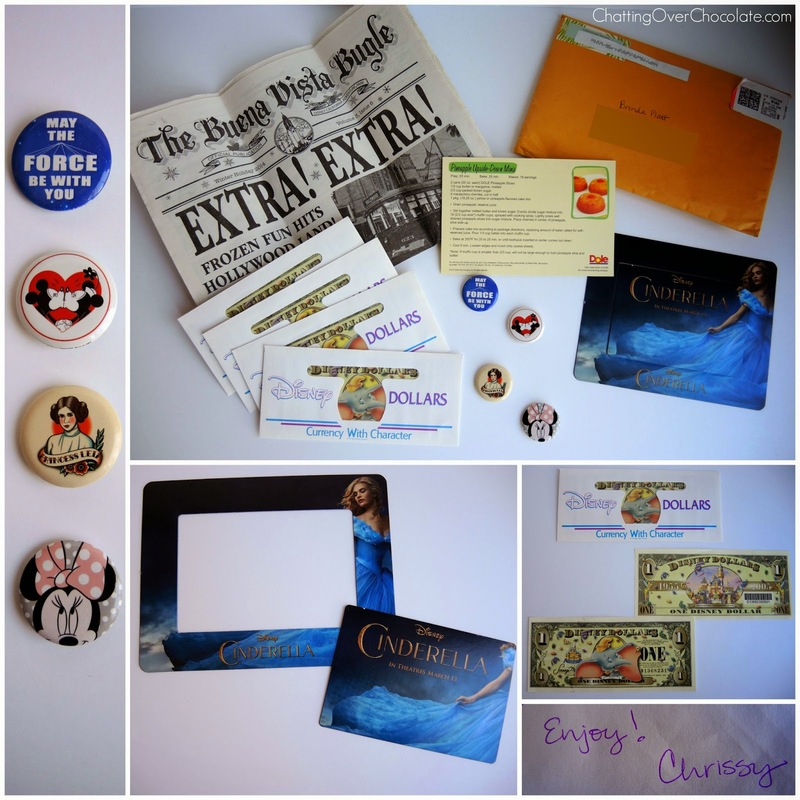 So glad you got a Cinderella magnet, it made our day too..they are so cute! 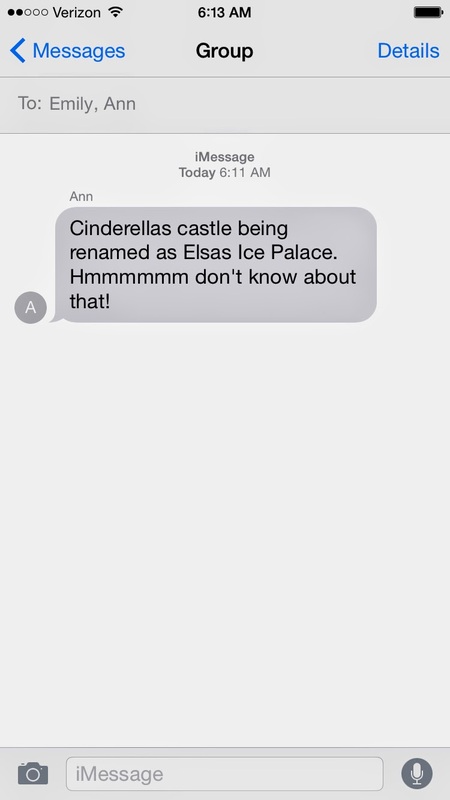 I almost fell for the "elsa ice castle" too hahaha! April Fools day fools me everytime..ahhh!! Oh those April Fools pranks were too cute and funny! And yay for some laid back girl time and an such a sweet friend! Hope you have a Happy Easter! 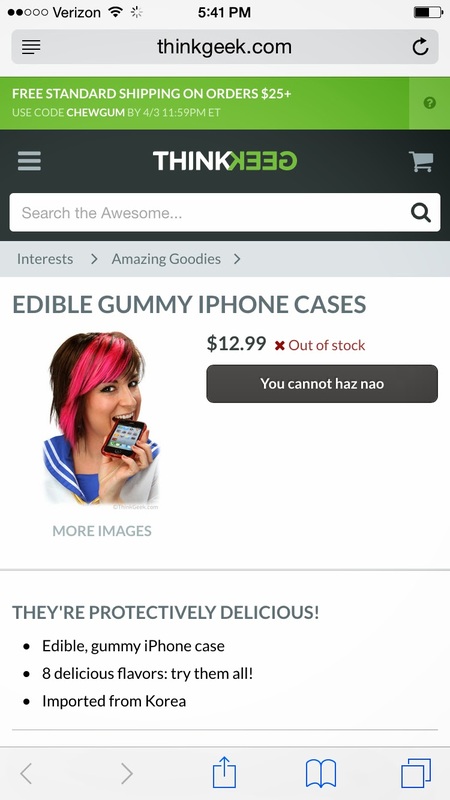 Hahaha those Aprils Fools jokes are funny! That text you got :-p I can imagine your gasp. Enjoy your Spring Break and have a wonderful Easter, Brenda! Awesome Happy Mail!!! And great videos!! Will check out One Perfect Life! Have a Blessed Easter!! hahah those pranks were awesome! 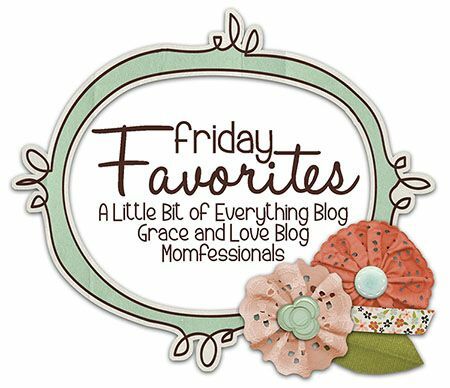 Your daughter sounds like a little sweetie :) tell her her pranks were my favorite! Enjoyed reading about the April Fool pranks/jokes that transpired in your household! Have a lovely Easter weekend! Little One's April Fools on her dad were Awesome....Love her sense of humor. I got pranked at work myself. I fell for it badly. Have a wonderful Easter with your beautiful family. Amen - because He lives, I have the promise of eternal life! Thank you for sharing that - it IS the best news! All of your April Fool's jokes are killing me over here! So funny! I got an email from West Elm saying "Thanks for your order!" 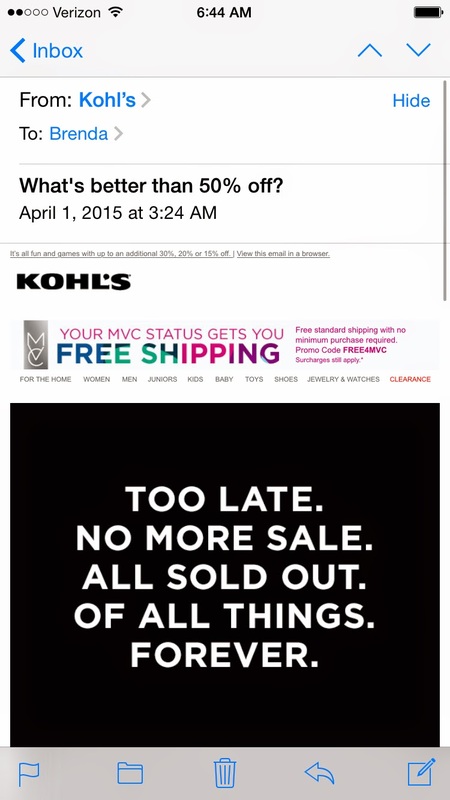 and I was freaking out because I didn't order anything and realized that it was April 1st. LOL! 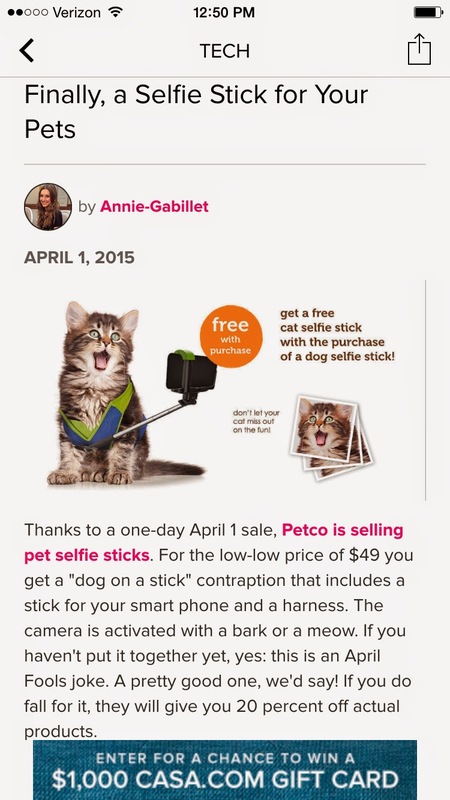 Hahaha I love the pet selfie stick. My cats would be all over that. Hope you had a great Easter! So many funny April Fools jokes! I saw the Disney castle one float around on FB and I was so thrown off by it! HAHA! And the Vanilla Ice ad caught my eye a few days ago. Weird!! 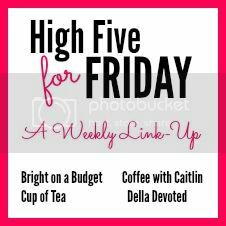 Hope you're having a wonderful week! I love snail mail :) You had some really good April Fools tricks! Ha! PS I was nominated for the Liebster award, and part of it is nominating other people and you were one of mine :) Check it out on my blog!